In case you missed it, Google’s latest algorithm brought about the so-called “Mobilegeddon,” which punished websites who weren’t mobile-friendly. Okay, I may be exaggerating a little, but Google did roll out an update on April 21, which punished any website that lacked mobile-friendly pages by decreasing the site’s ranking in mobile search results. This update may not have been as apocalyptic as the nickname implied, but it is still something that all web marketers who manage a website should be aware of. As of 2014, mobile overtook desktop as the primary device people use to access the internet, which means desktop should no longer be the only thought web designers and marketers have when developing a website. Google’s new algorithm encourages businesses to think about mobile first. I hope these tips provide you guidance into knowing how to make your website more mobile-friendly. With one of the biggest digital marketing trends of 2015 being mobile, there’s no reason for you to not to set your business up for mobile success. 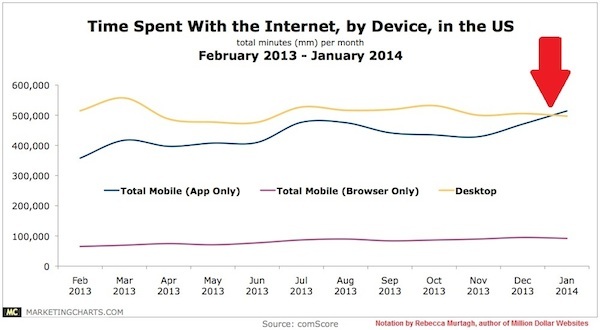 Your website isn’t the only thing that needs to be mobile friendly. Make sure your social media management is, too!